Intel's Skylake CPUs are built on a thinner substrate than past processors, and although the company claims their new chips are rated for the same maximum load as before, reports have surfaced suggesting that some third-party coolers are bending Skylake CPUs in their socket. To help prevent this from happening, MSI has launched a new product, called the CPU Guard 1151, that attempts to reinforce the CPU socket through a tough metal bracket. 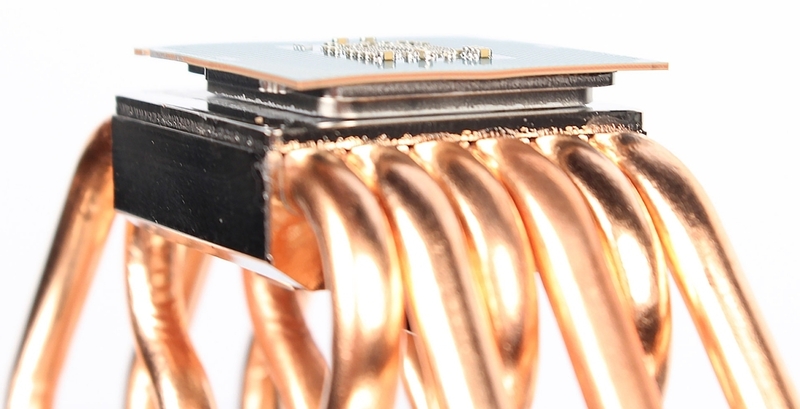 The CPU Guard essentially replaces Intel's stock lever-arm mounting system, adding extra strength to the corners and sides of the socket. The GPU Guard 1151 supports all socket 1151 processors, including those from Intel's Core, Pentium, Celeron and Xeon lines. MSI hasn't revealed how much this bracket will cost, or when it'll be available, but it could be a cheap way to ensure your Skylake processor doesn't bend. Meanwhile, CPU cooler manufacturers have been scrambling to verify their products meet Intel's specifications and don't bend Skylake processors. Intel has stated that all mounting specifications for Skylake CPUs have remained unchanged from prior generations, but there is a chance that some coolers, especially older models, might be approaching the CPU's force limits. Most manufacturers claim their products adhere to Intel's requirements, despite reports and pictures of bent Skylake CPUs appearing around the web. Some, such as NZXT, suggest that users should avoid older-generation large air coolers as they could potentially damage the socket in extreme circumstances.